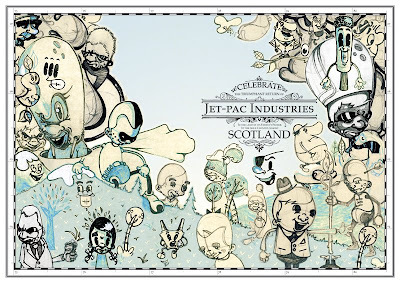 Scottish based designer/ illustrator and street artist Jet-Pac has recently relaunched his Jet-pac industries website. Jet-Pac is an old friend of ours here at Hookedblog towers and featured in our second Hooked Zine we published last year ( see above). Check out this great doodle video Jet-pac has put together. To see more from the moleskin doodle king, stop over on Jet-Pacs flickrstream and check some of the other work.